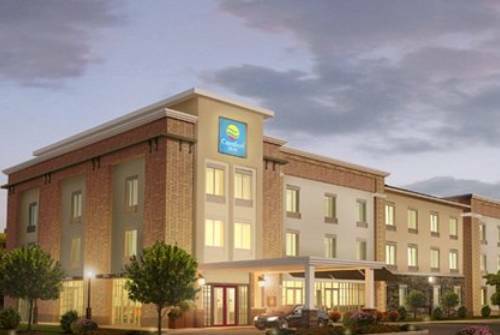 The Comfort Inn And Suites hotel in Caldwell, OH is located off I-77 near Duck Creek and the Utica Shale Region. We are happy to cater to business travelers with on-site meeting space, a business center and free WiFi. Additional amenities include free hot breakfast, an exercise room, indoor heated pool and laundry facilities. Get rested and ready for anything after an evening in one of our spacious guestrooms. Each has a refrigerator, microwave, work desk, iron, ironing board, and recharge device with AC and USB outlets. Select suites have HDTV, coffee makers, hair dryers and sofa-sleepers. Also, earn rewards including free nights and gift cards with our Choice Privileges Rewards program.